Are You a Potato, or a Rutabaga? In my 60 years, I think I may have eaten one whole rutabaga…If you add up all the bites. In researching, I found that rutabaga literally means, “root bag.” Now who wants to eat a root bag? It seems that it comes from Sweden and there along with parts of the UK and Australia, it is called a “swede.” I believe if Mother had said, “Son let’s eat some swedes today.” I may have dug in. But think about the potato. We have a brand new bag of great looking russets right now and I am thinking of all the possibilities…Baked, boiled, french-fried, hash browned, mashed, or just lightly peeled and thrown in the crock pot with a junky-lot of good items….mmmm. My dad always said he was a jack-of-all-trades and a master of none. My dad was a potato and I think he taught me to be a potato too. When I tell people I have a degree in English, they think that is all I know. They think I will correct their pronoun usage, but can’t discuss the founding of the thirteen colonies, or can’t plant great tomatoes. 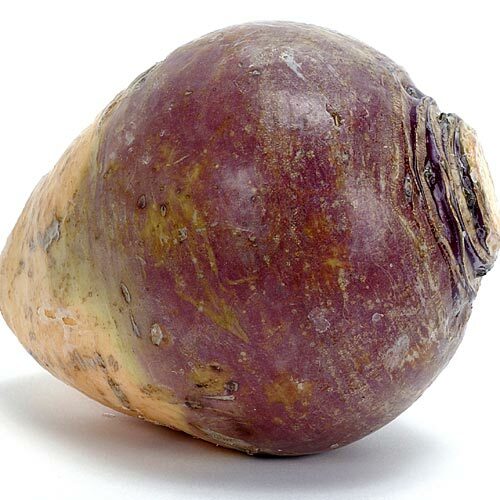 Maybe you are proud to be a rutabaga surrounded by well-seasoned others. But my wife, and son, and his wife, and I are teaching our grandchildren to be potatoes. And they are delightful ….No longer “tots” though. I had to throw that in. They are so quick on wit and humor, we will be talking about potatoes all afternoon. God I thank You for rutabagas. They are feeding and sustaining life for some people, somewhere today. But I thank You for my potatoes and those who taught me to be versatile, and useful to many in many ways. MY CHILD, LISTEN AND ACCEPT WHAT I SAY. THEN YOU WILL HAVE A LONG LIFE, I AM GUIDING YOU IN THE WAY OF WISDOM. AND I AM LEADING YOU ON THE RIGHT PATH. Proverbs 4:10-11. Would you need salt and ketchup with that?